SAN JOSE, Calif.--(BUSINESS WIRE)--Cypress Semiconductor Corp. (NASDAQ: CY), the embedded solutions leader, today announced that global automotive supplier Yazaki North America has implemented Cypress’ instrument cluster solution to drive the advanced graphics in its instrument cluster for a leading American car manufacturer. Yazaki selected Cypress based on its unique offering of five chips that combine to drive dual displays and provide instant-on memory performance with automotive-grade, ASIL-B safety compliance. 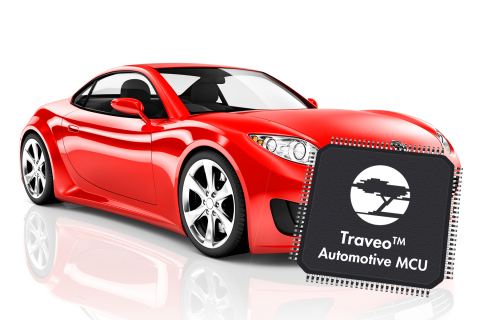 The Cypress solution is based on a Traveo™ microcontroller (MCU), along with two high-bandwidth HyperBus™ memories in a multi-chip package (MCP), an analog power management IC (PMIC) for safe electrical operation, and a PSoC® MCU for system management support. Automotive supplier Yazaki North America has implemented Cypress’ instrument cluster solution to drive the advanced graphics for a leading car maker.